I have several sites that I watch every month for their lists. The writers provide lists on music they’re listening to, podcasts they’re playing, books they’re reading, sites they’re visiting, and games they are playing. I love it because I can scope out some interesting things I’ve never come in contact with before. Do you like lists too? That’s why I decided I’d start a monthly list post that gives you all the good things I’ve found for the month. Things I’m actively taking part in, doing, learning … You get the picture. It’s a fun way to share what I’m doing with you. And an interesting way for you to pick up ideas that may benefit you. So here we go, my first list, for January 2017. Have you seen this woman? Fabulous. Inspirational. Motivating. I know Tao Porchon-Lynch’s story has been circulating online because of her new book. Whether you have or haven’t, watching her video is worth a few moments of your time today. She’s simply amazing … and someone I choose to emulate as I age gracefully myself in the coming years and decades. Someone recommended I read a book by author Chimamanda Ngozi Adichie. Having never heard of her before, I went online to discover who she was and what she wrote about. And I started online-stalking her the more I learned. Her stories will captivate you as much as they did more. And to get you started, you have to watch her TED talk on why we all should be feminists. I couldn’t agree more. I enjoy books that make you think. 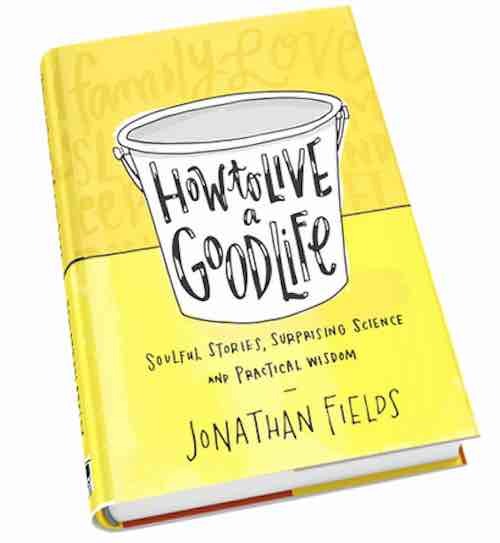 And How To Live A Good Life by Jonathan Fields’ has left me contemplating some fairly serious changes in my life. Some books allow you to sit down for the afternoon and read from beginning to end. This isn’t one of those books. Instead, this is all about challenging you and making you look at life differently. It gives you simple ideas with profound application. Choose one chapter a day and put it into place. I’ve been talking about this book with my husband and daughter for over a week – they’re getting as much out of it as I am without even reading it. If you only see movies once in awhile, put Hidden Figures on your list. Sometimes I hear of a story that simply astounds me – why haven’t we heard this before? Why wasn’t this in our history books? This is one of those. To see the hardships these women endured and the difficulties they overcame to do what they had to do in this life. Who says women can’t do anything in this world if they set their minds to it. And equal kudos to the men who support them. We’ve had game night in our family, well, for as long as we’ve been a family. Which means we’re always on the lookout for new and exciting games. 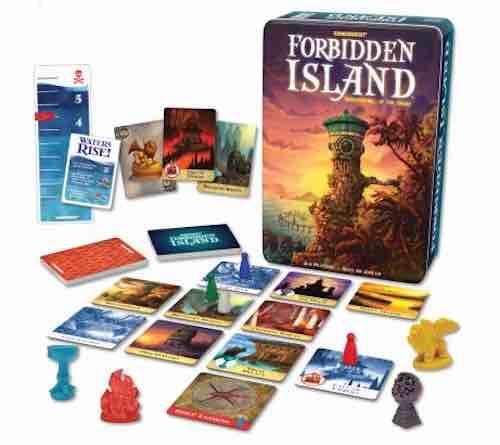 I gave my daughter Forbidden Island as a gift, and we’ve been playing it non-stop for the last few weeks. It’s not a competitive game, it’s collaborative instead. You work together to try and capture four sacred treasures and fly away before the island sinks. So much fun … it’s addicting!